Life is simply at play. Whether it is playing fair or unfair is a purely matter of “your” perception. As humans we expect Life to deal with us fairly. And when it doesn’t, as it often turns out, we feel depressed. The other day in the IPL 7 match between Delhi Daredevils (DD) and Rajasthan Royals (RR) at the Feroz Shah Kotla, DD’s Kevin Pietersen was clearly run out by RR’s Sanju Samson. For reasons best known to him, the square-leg umpire, Sanjay Hazare, decided to rule him not out and, worse, did not think it wise to refer the decision upstairs, to the third umpire. Everyone was aghast – the RR players surely, the commentators, the spectators and, perhaps, Pietersen too may have known that he was out. Everyone held the view that it was an umpiring error and that it was just not fair. As much as I am able to empathize with all these people and their situations, I wouldn’t say Life’s being unfair – to them or to anyone. You can say that someone is unfair only when you have an expectation of fair-play from them. And you can expect someone to play fair only if you have been told that they will play that way. Now, think about it, has Life ever promised any fair-play? 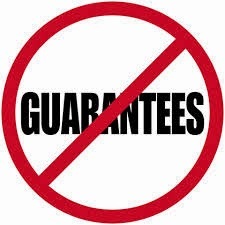 Has it given you or me any guarantees? Of course not – Life hasn’t promised or guaranteed anything to anyone! The only truth is that ever since you were born, Life’s been happening to you. One event after another. Your education and your conditioning has led you to lean on to human perceptions, aspirations and expectations – of good and bad, of fairness and unfairness, of being just and being deceitful. So, when Life didn’t promise you anything, how can you hold Life responsible for being unfair? If you continue to feel that you have been treated badly by Life, despite being aware of this truth about Life, you, and only you, are to be blamed for this feeling. And for all the depression that engulfs you. We will all do well to remember that Life’s just a series of experiences. Sometimes, we welcome and enjoy those experiences. At other times, we dislike, despise and resist some experiences. In either scenario, there’s no point holding Life accountable. Because what you feel, how you feel, means nothing to Life. Life simply goes on happening. Your berating it or yourself makes no difference to Life. So, stop complaining, stop lamenting that Life’s being unfair – just take it as it comes. If you love what you receive, enjoy it. And if you get what you didn’t want or expect, simply accept it and learn to live with it. Only then will you live in peace and be happy!